THE world renowned Turnberry Hotel and Golf Resort, host of the Open Golf Championship this year, has become the latest new member of the Elite Ayrshire Business Circle. 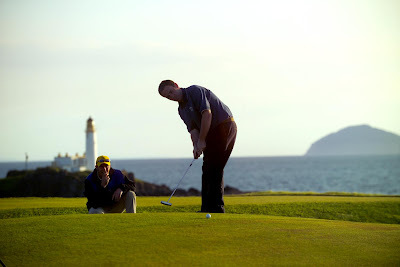 Turnberry Hotel and Golf Resort's Director of Sales & Marketing Stephen Walker commented: “Turnberry is one of Ayrshire’s true icons, recognised globally as a haven for world-class golf and hospitality. “Our role as both a major employer and local community player is one we take very seriously. 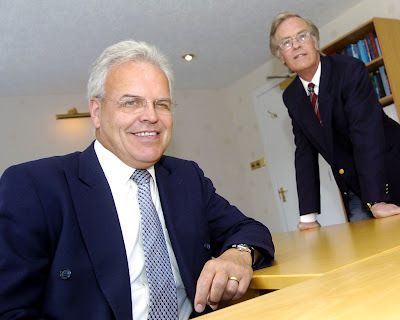 And in a joint statement, Elite Ayrshire Business Circle executive chairman Norman Geddes and managing director Murdoch MacDonald (pictured above) said: “We are delighted to welcome Turnberry Hotel and Golf Resort’s accession to membership of the Elite Ayrshire Business Circle. Opened in 1906, Turnberry was originally known as the Station Hotel. In the mid-20th century, when it was owned by British Transport Hotels (BTH), there was a national concern that the upkeep of this established, luxurious hotel would not be maintained. After a number of disappointing years of low occupancy, BTH placed Turnberry on the market. Over the next few decades, a number of different proprietors made significant investments in guest rooms, conference amenities and spa facilities that raised Turnberry’s profile. In particular, Turnberry’s dedicated centre for health and relaxation was extremely innovative when it was introduced in the 1980s—and put the resort on the modern-day map. The new millennium brought a new owner: Starwood Hotels & Resorts Worldwide. Starwood’s vision for Turnberry included a variety of improvements. The red-roofed houses by the roadside, originally built as staff accommodation, have been converted into guest lodges, offering space and seclusion to large groups. The state-of-the-art Colin Montgomerie Links Golf Academy and the newly built Kintyre course have commenced operations. 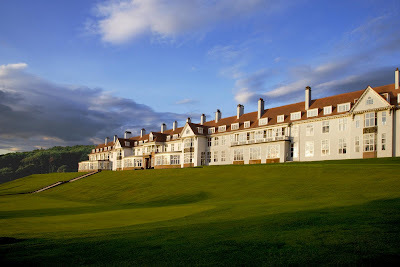 And the Outdoor Activity Centre—which allows guests to make the most of Turnberry’s 800 acres and the Ayrshire countryside beyond—has completed Turnberry’s transformation from a largely seasonal, golf-focused resort to a year-round destination with an abundance of activities that appeal to a wide audience. 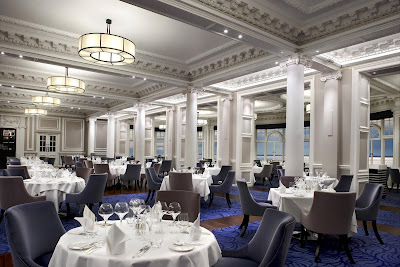 Leisurecorp, a division of Dubai World that is one of the world’s most innovative and renowned golf development entities, took ownership of Turnberry in October 2008 and closed the hotel immediately for a dramatic refurbishment ahead of the 138th Open Championship that took place in July 2009. Internationally renowned interior designer Mary Fox Linton was appointed to lead the renovation, which, with the help of a heritage consultant, saw the 103-year-old hotel restored to the vision of its original architect while accommodating the needs of the modern guest. The property is now a member of Starwood’s Luxury Collection® portfolio. It is the intention of Leisurecorp, with the contributions of its partners, to make Turnberry the top golf and resort experience in the world. The Elite Ayrshire Business Circle was formed in 2007 by some of the top companies in Ayrshire. Its mission statement is to publicise its members, to celebrate and report the wealth and rich diversity of entrepreneurial talent and business excellence that flourishes here in Ayrshire, and to raise still further Ayrshire‘s profile throughout the world as an ideal place to live, work and visit. There are currently 595 Ayrshire business stories permanently archived on this site. To locate those of most interest to you, please use the site search facility in the top left hand corner of this page. Type your search term in the white box, then click “SEARCH BLOG”.